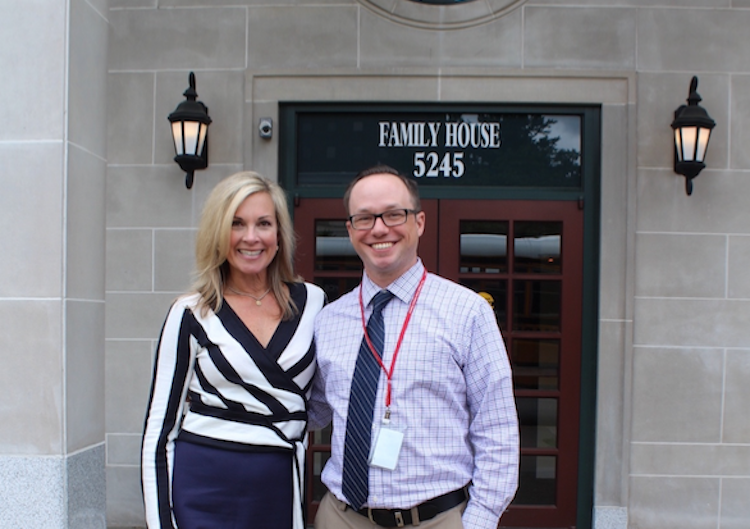 Jennifer March at the Shadyside Family House with Dorseyville Middle School Teacher Scott Vensel, who inspired his students to do a teddy bear collection and donate them to the grateful guests at Family House. 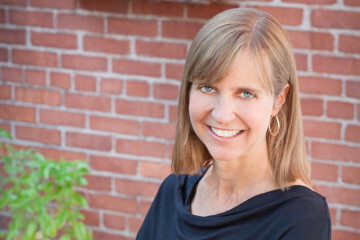 It’s been a momentous year for new Family House Executive Director Jennifer March. The organization just raised $250,000 for the families it serves at its 35th annual Polo Match in September. Jennifer has worked for a number of local nonprofits — from WQED to Carnegie Museums to Pittsburgh Symphony Orchestra — and she’s also a member of the musical group Kelsey Friday and The Rest of the Week, whose videos can be seen on the cable channel Nick, Jr. Jennifer lives in Fox Chapel with her husband, Charlie, and their two children, Woody and Alden. Family House is the catalyst to connecting me with inspirational people. When talking with our guests, I am inspired by their bravery, positivity and generosity of spirit. Medical situations have a way of bearing the true individual — there’s no pretense by the time they get to us. I am continuously blown away by the guests who take the time to thank us for what we’ve provided them during a challenging time in their life. I am inspired daily by the Family House staff who give their all for our guests, and by our medical partners who ensure the best care is given to patients traveling here for world-class care. 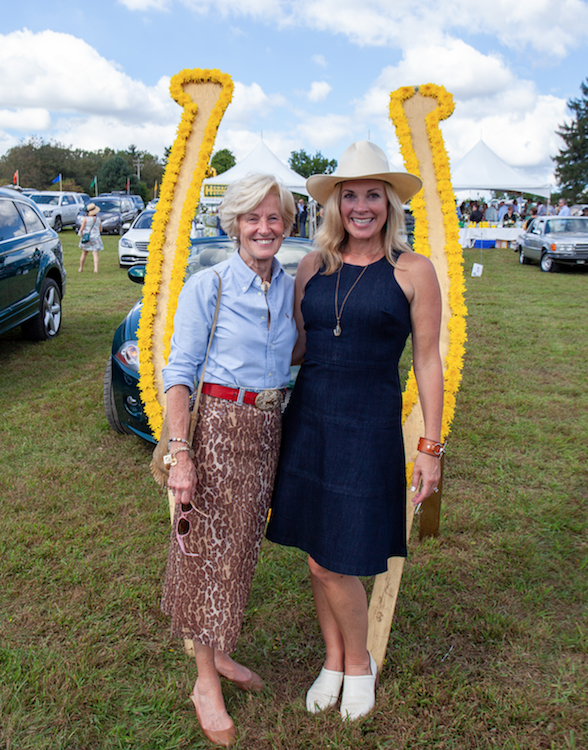 Jennifer with Mary Lou McLaughlin, founding executive director of Family House, at the 35th Family House Polo Match on September 15. I was involved in preliminary discussions for North Shore development in the 1990s, when young people weren’t sticking around. I saw the renderings of the amphitheater and the tram and the new stadiums, and I thought this could never come to pass — well, look at it now! My big idea is that Pittsburgh keeps this momentum, that Downtown becomes a mecca of city dwellers and shoppers and that neighborhoods like Lawrenceville and Regent Square continue to thrive amidst their own sub-personality of Pittsburgh. I’d like to see the South Side return to its own glory of hipster-cool. And I look forward to seeing the efforts to improve access and usage along our glorious riverfronts continue. It’s been incredible to watch Pittsburgh transform over the course of the last 28 years that I’ve lived here. Not only are young Pittsburghers deciding to make their home here, we are enjoying the fruits of transplants from New York and other competitive cities like I haven’t seen. I’m a proud Pittsburgher! What’s one thing you’d place in a Pittsburgh time capsule? There are already so many wonderful existing Pittsburgh time capsules … like Klavon’s! I’d place that giant funnel on top of Carnegie Science Center in a time capsule … as director of development some years ago, I had to raise the money to fund that thing, and still scratch my head as to exactly what it is supposed to be (no disrespect to the sculptor). Although, from the river, you do know exactly where the Science Center is located because of it. But it would be interesting to know what Pittsburghers of the future might think of the “nylon cone,” as we insiders once called it. Trevor Noah’s The Daily Show Ears Edition. The odds have it that I’ll be corralling teenagers — my own, plus their friends — and enjoying every minute of it. What is the biggest challenge you’ve faced in your first year at Family House? My mantra to my own staff and clients over many years had always been “without follow up, you’ve done nothing.” Follow-up is key to moving the needle, whether in fundraising, marketing or operations. I had been on the job at Family House for about a month when I realized I’d done virtually no follow-up because my days were stacked with meetings. So now I carve out time on my calendar specifically for follow up. 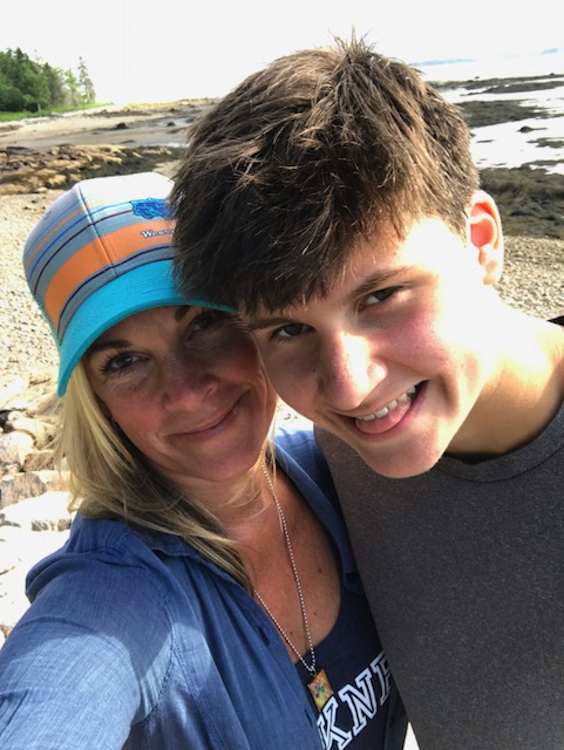 Jennifer and her son Woody in Maine. For my entire life, I’ve spent time in Maine in the summer — Downeast, on Gouldsboro Bay. My family has a place on the water in the woods. It’s my reset button that I cannot live without. That’s an easy tie: Dr. John Wilds, vice chancellor of student affairs at Pitt and Mary Lou McLaughlin. If you’re walking a city block with either of them, you’d better carve out enough time to stop along the way, as most every human you’ll encounter will know and love them. Besides the essentials, what do you always carry with you? Since the early ‘80s I always carry lip gloss with me: back then it was Mocha Ice … today, it’s Buxom. After I share a cup of coffee with Jane Pauley (“CBS Sunday Morning”), you’ll find me walking the hills of Fox Chapel with my walking pal, Heather, and her dog, Sunny. What was the biggest success of this year’s Family House Polo Match? The biggest success was the highly cooperative spirit of Mother Nature! Secondly, we welcomed a mix of steadfast, true-blue sponsors and attendees, along with many new to Polo this year. With 2,300 attendees, we know this event remains a Pittsburgh tradition and has legs for the future. What is your long-term mission for Family House? Our mission is to provide a safe haven of comfort and support, a home away from home for people traveling to Pittsburgh for medical care. For the long-term, it is to remain a unique and necessary service in our community, always relevant to the needs of our guest population as they change along with changes in the delivery of healthcare.